In the spirit of spring, candy and the pastel colors, here’s a treat. Easter Bunny font by Dieter Steffmann created this Easter egg type allowing anyone to quickly create a cute poster in no time. His font can be found on Fontspace.com. A little Easter cheer from Easter Bunny type for the occasion. 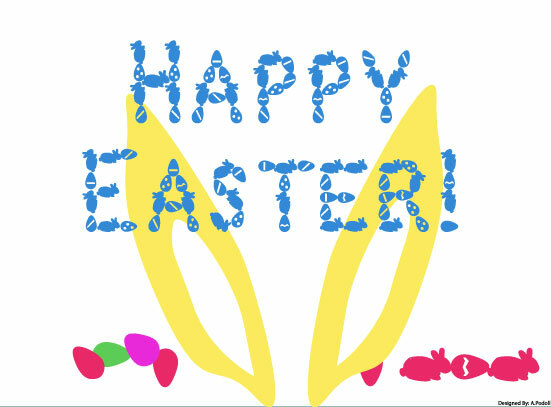 Note: except for the ears, this is all from the Easter Bunny font family. I was given these Valentine’s cards yesterday. I miss these cards from elementary school – you know, the ones with the awesome new characters from the newest movie or classic Disney icons on the front. Except these are one step better. They are also coupons for a free donut. How could a Valentine’s Day card get any better? I love the design on them. Very cute and clever on Krispy Kreme’s part. 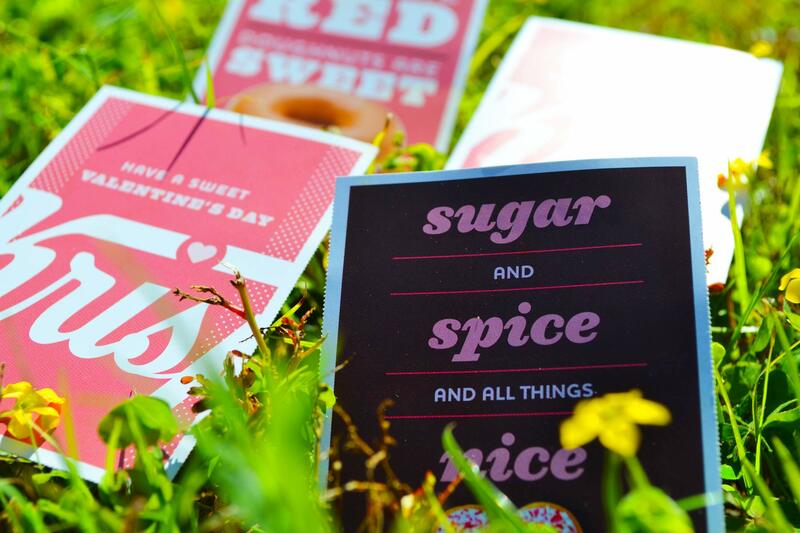 A valentine and free donut. Life is pretty good. As I was doing the usual web surf, I cam across this gem. If you have any kind of difficulty remembering type and it’s characteristics, this should help! Take a look at Grant Snider’s work at Incidental Comics. It’s smart and charming. 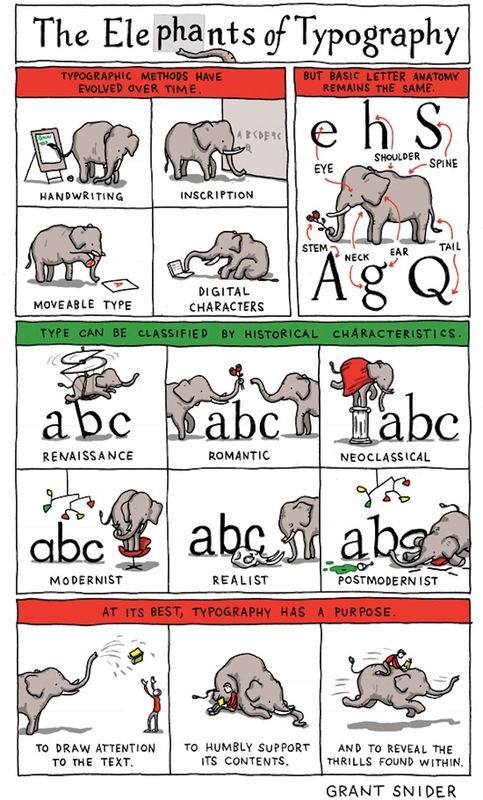 This is also the best (and shortest) adaptation of the Elephants (Elements) of Typography I’ve come across. Enjoy! To understand any field, you have to understand the history of it. But with typefaces, it’s less of a history lesson and more of establishing the categories fonts fall into. These are the very early typefaces, nearly illegible to the modern eye. These fonts were very common in the middle ages. You’ll still see fonts with the option of “Font Name Black.” This is the weight of the letters the option is referring to. Unless using these for a design or certain effect, they are not such a good idea for general content. I ran across this picture/mural/design in a store this past week. Of course I had to go back and take pictures of it. What’s the best part about it? 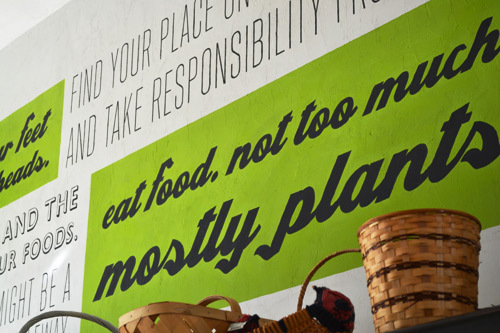 I love the play between type creating the mural and strengthening the meaning with the words. That is all happening at the same time thanks to the fonts selected. 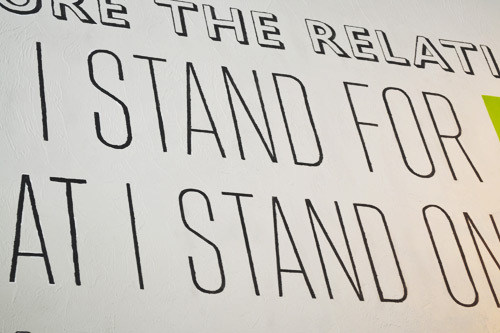 For instance, take a look at “stand.” Does is not look like it’s standing up nice and tall? I see the same idea with the color splotches in the middle of the typography collage. The type chosen for this picture not only looks like stalks of plants, but it’s bold and able to contrast the tall messages surrounding it.